Although school counselors have a legal duty to exercise reasonable care to protect students from foreseeable harm, school counselors also have an ethical duty to ensure that students' legal rights are protected. The use of criminal profiling as a means to identify students at risk for violence could be violative of students' constitutional rights. Reddy et al. (2001) described criminal profiling as a technique to assess individuals who have exhibited disturbing behaviors and communications based on characteristics of previous perpetrators. In the context of school violence, the use of this technique has been severely criticized. Researchers studying school violence have consistently found that there is no accurate profile of students at risk for violence (Bailey, 2001; Reddy et al., 2001; Vossekuil et al., 2000). Most notably, in October 2000, the United States Secret Service released their preliminary findings based on a comprehensive research project which analyzed information related to the behavior and thinking of students involved in 37 school shootings between 1974 and 2000 (Vossekuil et al.). The goal of the project was to provide this information to school and law enforcement personnel responsible for preventing school violence. In the school shooting incidents studied, the attackers ranged from excellent to failing in academic performance, from socially isolated to popular, and from no behavioral problems to multiple behavioral difficulties in school. The assailants came from a variety of ethnic backgrounds. Less than one third of the perpetrators abused drugs or alcohol. Few perpetrators showed any significant change in academic performance, friendship patterns, or disciplinary problems at school prior to the-incident. The only demographic variable that was consistent was that young men committed all of the school shootings studied. However, the consistency of this demographic variable changed after the preliminary report was issued. In March, 2001, an eighth grade girl shot a classmate at the Catholic school both girls attended (Morse, 2001). Vossekuil et al. (2000) concluded that an accurate profile of a school shooter does not exist. They explained that the vast majority of students who fit any given profile actually do not pose a risk of school violence, and some students who do pose a risk of violence do not fit any given profile. Violent student profiles have been characterized as over-inclusive, biased, stigmatizing, and potentially violative of students' constitutional rights (Bailey, 2001; Reddy et al., 2001; Vossekuil et al.). Bailey (2001) discussed the constitutional law issues involved in using profiles to prevent school violence. He explained that assigning students to alternative education programs based on a student's likeness to a profile could be seen as a deprivation of the right to equal educational opportunities and thus could pose serious constitutional questions. Bailey reasoned that for an individual to be singled out and receive special treatment based on the individual's resemblance to a profile, the profile must be reliable and used in an objective manner. He found that there is no violent student profile supported by comprehensive research and generally accepted by the scientific community. Bailey concluded that interventions based on using such profiles as a predictor of violence could be violative of students' constitutional rights. Bailey (2001) noted the difference in using profiles to assign students to alternative educational programs and using profiles to direct students to violence prevention or mental health services. He explained that the latter could have constitutional implications, but courts would likely see the allocation of mental health services to students potentially in need of these services as an additional opportunity for students as opposed to a deprivation of rights. However, school counselors can avoid the possibility of litigation related to the use of student profiles by presenting all students with the opportunity for violence prevention activities and using means other than profiles to assess whether students are potentially violent. Though interventions based on the use of a mythical violent student profile could be violative of students' constitutional rights, school counselors still have a legal and ethical duty to act reasonably to prevent school violence. Assessing a student's potential risk of violence is implicit in this duty. Consideration of certain risk factors related to violent behavior can help school counselors make this assessment. In Youth Violence: A Report of tile Surgeon General (U.S. Department of Health and Human Services, 2001), a risk factor was described as any factor that increases the likelihood that a person will suffer harm. Risk factors differ from violent student profiles because they encompass a broad range of indicators as opposed to one rigid, stereotypical profile. Though no risk factor or set of risk factors can accurately predict that a student will become violent, a risk factor increases the possibility that a student will become violent. The presence of multiple risk factors further increases the possibility that a student may become violent. The research on risk factors and the prediction of violence has relied upon retrospective studies of students who have already become violent. This was accomplished by conducting psychological postmortems after violent incidents to discover common characteristics related to behavior, development, and psychosocial history (Borduin & Schaeffer, 1998; Dwyer et al., 1998; Hamburg, 1998; Hardwick & Rowton-Lee, 1996; Kashani, Jones, Bumby, & Thomas, 1999; Poland & McCormick, 1999; Vossekuil et al., 2000). For example, Vossekuil et al. studied 37 school shootings and found that most students do not impulsively go on shooting rampages. Over three fourths of the school shootings studied were planned and more than one half of the shootings were planned at least two days prior to the shooting. Furthermore, over one half of the attackers developed the idea to harm others at least 2 weeks prior to the event. Vossekuil et al. (2000) found that in almost every case, the perpetrator engaged in behavior that caused others to express concern about the student. In over three fourths of the cases, an adult expressed concern because the student was engaging in behaviors such as attempting to gain access to weapons and writing suicidal or homicidal thoughts in school work. Vossekuil et al. reported that in over 75% of the incidents, perpetrators told at least one person what they were planning to do before carrying out the plan. Stevens, Lynm, and Glass (2001) also found that in over half of the violent school attacks, students wrote a note, made a journal entry, or advertised their plan in some other manner. Students' threats to do harm are a powerful indicator of future violence (Dwyer et al., 1998; Fitzgerald, 2001). 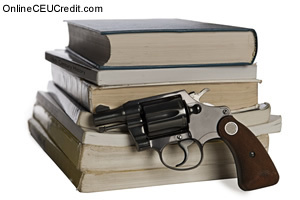 A student's threat may be obscure or it may be given in great detail. The threat may have been for homicide, suicide, or both. Vossekuil et al. (2000) found a high correlation between suicidal and homicidal behaviors. In almost three fourths of the school shootings Vossekuil and his colleagues studied, the students had threatened or attempted to commit suicide prior to perpetrating the school shootings. Students' motivation for committing violent acts at school has included alienation, disaffection, powerlessness, and revenge (Dwyer et al., 1998; Glasser, 2000; Sandhu, 2000). Vossekuil et al. (2000) noted that in over three fourths of the school shootings they studied, the perpetrators were having difficulty coping with a major relationship change or another loss. Some students who have been violent in school were alienated from the mainstream of the student body (Dwyer et al. ; Sandhu). The motivation for some student violence has been rejection by peers. In the Jonesboro, Arkansas, and Pearl, Mississippi, school shootings, the perpetrators had been rejected by their romantic interests. The assailants specifically targeted these girls in their violent attacks. Vossekuil et al. (2000) found that in over two thirds of the incidents, the perpetrators had been bullied, threatened, or attacked prior to the shooting, and more than one half of the attackers were motivated by revenge. The students believed that their violence was justified (Ross, 1996). Some violent students even pictured themselves as heroic figures serving as avenging angels righting past wrongs (Gibbs & Roche, 1999). The shooters at Columbine High School targeted athletes who they believed had been their bullies and tormentors. Yet, in over 75% of the school shooting incidents that Vossekuil and his colleagues studied, the attackers did not alert the targeted victim or victims of their plans. A history of childhood sexual, physical, or emotional abuse can also increase the risk for violent behavior (James & Gilliland, 2001). Other risk factors include having access to identified victims, the ability to acquire weapons, increased environmental stress, disconnection and alienation from mainstream culture, high levels of anger and frustration, and use of drugs and alcohol (Dwyer et al., 1998; Glasser, 2000; James & Gilliland; Ross, 1996). In addition, many of the students who have committed acts of violence had psychiatric diagnoses. They were either in treatment in which the severity of their problems was not addressed or they were noncompliant with their medications (James & Gilliland). Some of the perpetrators intentionally went off of their medications in order to increase their level of anger and violent behavior. Because the students were emotionally unstable, they were further alienated from emotionally healthy friends who could have discouraged the violent behavior or alerted authorities about the students' cataclysmic plans. (Borduin & Schaeffer, 1998; Kashani et al., 1999). Harm to small animals is another indicator of possible risk of school violence. For example, the perpetrator of the Pearl, Mississippi, school shootings tortured and killed his family dog (Bagley, 1999). He beat the dog and then set it on fire while it was still alive. He wrote about this incident in his school journal, but this information was not relayed to his mother or the authorities. Other warning signs of violent behavior include an unusual interest in violence (Dwyer et al., 1998). The perpetrators in Columbine, Colorado, Moses Lake, Washington, Jonesboro, Arkansas, and Pearl, Mississippi, all expressed a fascination with weapons and violent films and video games. The Trench Coat Mafia of Columbine and the perpetrator in Moses Lake dressed like their favorite characters in violent movies. Finally, the school environment itself can contribute to school violence. The risk of school violence increases when adult supervision is insufficient, bullying and teasing are tolerated, special privileges are afforded to identifiable populations such as athletes or honor students, the faculty is disconnected from the students and community, students in need of care have little access to intervention, and violent threats are ignored (Fagan & Wilkinson, 1998; Futrell, 1996; Mayer, 1999; Ross, 1996; Stevens et al., 2001; Trump, 1997; Weinhold, 2001). Remaining alert to environmental and individual risk factors associated with school violence is vital to school counselors as they work to prevent school violence. The preceding section contained information regarding ethical considerations related to using student profiles. Write three case study examples regarding how you might use the content of this section in your practice. According to Bailey, what are the constitutional law issues involved in using profiles to prevent school violence?